The Global Search for Education: What did you learn at Oppi? "I am more hopeful now than before Oppi to accomplish the vision of the school of the future where "minimal invasive education" is a leading principle." 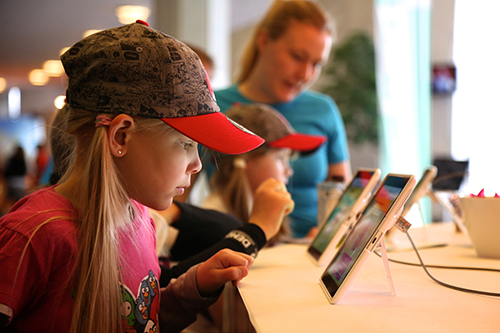 Why is Finland so fabulous at startups? Kano, the next generation computer kit, raised $1.5 million in 30 days on Kickstarter - what does that teach you about education? If children can learn independently from computers, then why do we need teachers? Why are 65 million girls not going to school? What does the PISA test honestly teach us? What are the newest ways of learning? Is your classroom design promoting learning? It takes a community to create a great school - is yours engaged? 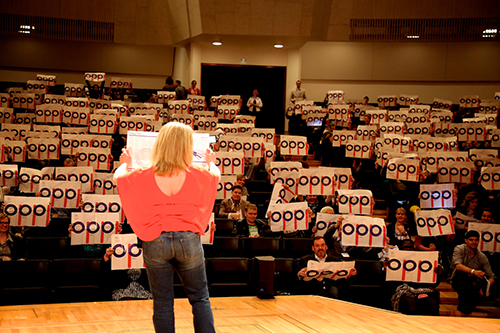 We went to Oppi in Helsinki to learn. The energy of Oppi's host, Australian Simon Breakspear, the diverse range of education themed workshops, Sanoma's delicious hospitality, pop-up mini rock concerts, and playful lessons (especially the I.am.angel students in California teaching me how to make my first robot) left me pondering this big picture question - why the hell didn't I pack my blue jeans? If Claudia Barwell and the team at Suklaa had innovation at the heart of their festival agenda, they certainly ignited my curiosity. I found myself wishing that in addition to the educators, entrepreneurs and many children present, someone had thought to invite everyone's Mum and Dad. I tell my children there are those who want to study the past and there are those who want to create the future. Perhaps the secret is to experience both in the most profound way you can. Oppi helped me believe it is possible to do that. You know you've had a life changing face-to-face experience when you want to share the learning with everyone who missed out - thanks to Arianna Huffington and social media, we can keep the Oppi flame and momentum for positive education change alive - kunnes tapaamme jälleen! 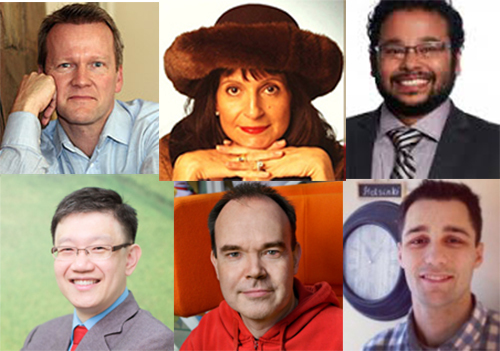 But, wait - before you start tweeting, I encourage you to listen to the learning experiences of the education experts and learners - Pasi Sahlberg, Pak Tee Ng and Tim Walker - as well as talented entrepreneurs Mighty Eagle Peter Vesterbacka and Zaya founder Neil D'Souza. "The most important thing startups can bring to education is attitude, the attitude of everything being possible and it all being about just getting things done." Gentlemen, what did you learn at Oppi? Pak Tee Ng: The sharing by the Finnish Minister for Education and Science, Ms Krista Kiuru, and my good friend Pasi Sahlberg, has been particularly instructive. Although Finland has very good PISA results, they too have problems with engaging some students in learning and intend to address that issue. Therefore, I am convinced that Singapore should continue its effort to "teach less and learn more", putting in effort to encourage pedagogical enhancements and student engagement. The sharing by various other countries and jurisdictions about the effects of their external accountability structures have also been instructive. Personally, I am glad that Singapore has switched from an inspectorate system to a school self-appraisal system in 2000, and has continued to simplify the system, so that it is responsibility rather than accountability that drives education. I realized that many people draw conclusions about an education system from PISA results. Post-Oppi, when I give speeches overseas, I would take the opportunity to remind the audience that PISA findings are useful references but not a report card. If we get too anxious over PISA, it will be a rat race. Please don't make PISA into a world exam for our children. Finally, technology will have a huge impact on education, but I believe the day will come when there is a premium for face to face contact and the human touch will be valued even more than before. Peter Vesterbacka: The most important thing startups can bring to education is attitude, the attitude of everything being possible and it all being about just getting things done. Tim Walker: Since the results of the first PISA test were published in 2001, there has been a lack of urgency for Finland's education system to improve as thousands of educational pilgrims have flocked here to study this model. When folks from all over the world say you're the best, it's really hard to find the motivation to change. In December of 2013, the latest PISA results were released and Finland was nowhere to be seen in the top 10 in math, a first-time event for this education superpower. Although Finland still performed well overall, this drop in scores - no matter how you slice it - was humbling. And helpful. 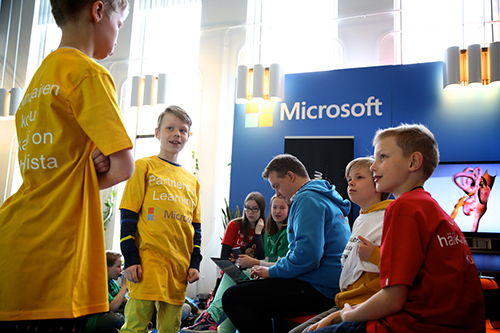 Finnish educators now had a great opportunity to have a different kind of conversation about their education system. At nearly every Oppi session I attended, I heard Finnish educators identify areas of weakness in their education system, voicing dissatisfaction with the status quo, and calling for real change. I left Oppi optimistic that schools here can dramatically improve. Why? Because owning your weaknesses is the prerequisite for meaningful improvement. This is a valuable lesson for all education systems around the world. Neil D'Souza: My takeaway from Oppi is firstly that teachers are the best investment you can make in education, even with technology entering this space. Secondly, the Finnish education system is flourishing because it has been designed around the Finnish society; unfortunately, most of our education systems work the other way around. Hence, there are not many micro innovations that one can transfer to developing countries because the social maturity for those innovations to work does not exist. Thirdly, I believe the future is in digital learning and hence, if ed-tech entrepreneurs want to make long term impacts on learning, we need to put our minds to developing a learning model that will allow technology to flourish. 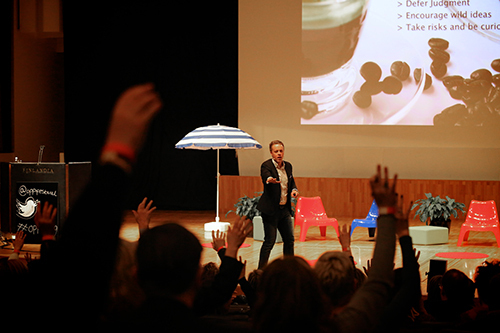 Pasi Sahlberg: What do I expect from typical education conferences? Inspiring keynote talks, interesting panels and concrete examples of good practice in workshops. More often than not, however, education conferences succeed to surprise me in all of these arenas. 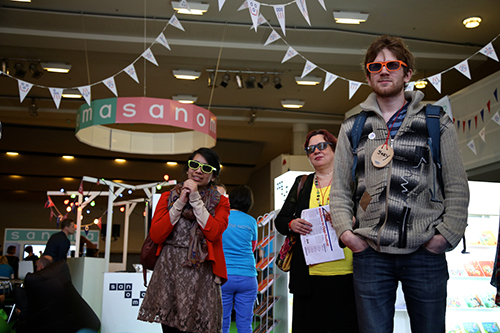 What I found in the Oppi event in the first place was that it wasn't a typical conference. It was a festival that celebrated education that cultivated the human mind and unleashed imagination to change our lives and the world. I think we need more forums like Oppi where people get together and learn from one another in joyful and enriching spirit. My takeaway from Oppi in Helsinki was exactly this important notion of togetherness. If we are about to make the world a better place through education, we need to move beyond conference halls and classrooms to realize the potential there is to make a change. I am more hopeful now than before Oppi to accomplish the vision of the school of the future where "minimal invasive education" is a leading principle. Festivals like Oppi can indeed be helpful. What would speed up that necessary transformation of schooling is to have more decision-makers and parents joining us in future events. Photos are courtesy of photographer Niko Alajoki. C. M. Rubin is the author of two widely read online series for which she received a 2011 Upton Sinclair award, "The Global Search for Education" and "How Will We Read?" She is also the author of three bestselling books, including The Real Alice in Wonderland, and is the publisher of CMRubinWorld.